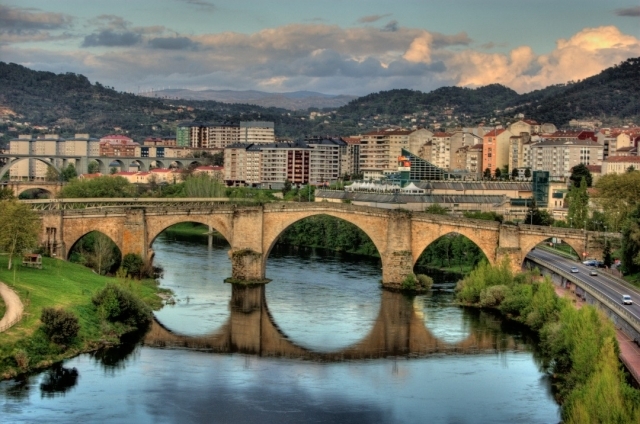 More and more pilgrims visit the city of Ourense on their pilgrimage to Santiago de Compostela. In 2017, there have been 6,800 pilgrims who have arrived in the cathedral of Compostela to request their compostela having traveled the Camino Sanabrés, some data that improve those of 2016. With respect to the increase of pilgrims that experienced the Camino de Santiago last year, Ourense represented 12% of the total of these data; Just last July, of 47,470 pilgrims who arrived in Santiago, 1,035 began their pilgrimage from the Galician city, 51.7% more than last year. On the other hand, the data about the walkers who have spent the night in the city crossed by the Minho are also outstanding, with 2,000 pilgrims having passed through the public hostel of the city so far, very similar to last year. The growth in the welcome of pilgrims who travel along the Camino Sanabrés or the Silver Route has promoted the construction of a new hostel that is expected to be ready to serve later this year. The figures are on the verge of overcoming the barrier of 10,000 pilgrims a year, a fact that is noted and requires a greater capacity to serve all walkers. The accommodation will be located very close to the main square, in Rua da Barreira and has been under construction for a year, with a budget of 750,000 euros.